Our patent pending FLEX system allows tables, chairs, desks, etc. to grow with your child. Leg extensions are stored neatly and securely under the desk, so they don’t get lost. Your desk will be able to accommodate a child about 7 years up age all the way to adulthood. 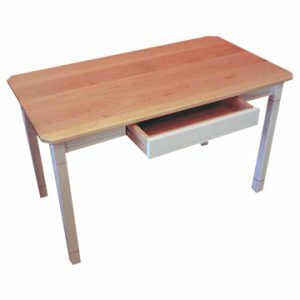 Our desk is available in your choice of hardwood lumber choices and painted finishes. The FLEX student desk is part of our collection of furniture that grows along with your child. Our patent pending leg design system allows for tables, chairs, desks and other furniture with legs to increase in height to keep pace with your child. 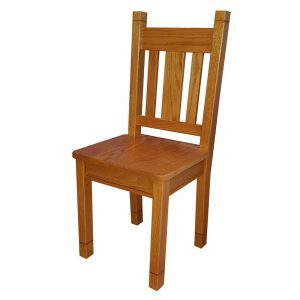 Our system is beneficial because it allows the consumer to buy a table, chair, desk or bench etc., or other furniture with legs that can used over multiple years instead of continually having to buy new items. We make our FLEX Student Desks by hand, just for you, in our shop. We do not sell mass produced items or outsource our work to others. Every furniture piece we sell is hand crafted with pride and built in the U.S.A. from American hardwoods. This gives our furniture great strength and natural beauty. We estimate the approximate age of a child starting out using the desk would be about 7 years old. The desk can raise to accommodate a teen-ager 14+ years old up to an adult, depending upon the height of the individual. At its tallest height, the desk is 29” tall which is normal desk height. This desk would work well with our larger chair in the taller height. With this flexible desk, your student can do homework, and as they mature take it to college if they want. It can also be passed down to a younger sibling or cousin at the lowest height and the “growth” process starts all over again. You can’t beat the usefulness of this solid desk! 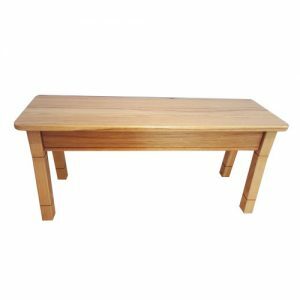 At its highest height, this desk would also fit perfectly in a kitchen as an area to pay bills or could be tucked into a corner of any room where additional office space might be needed. It is not just for kids, although we designed it for them! With the optional hutch, additional space is added for office supplies, etc. 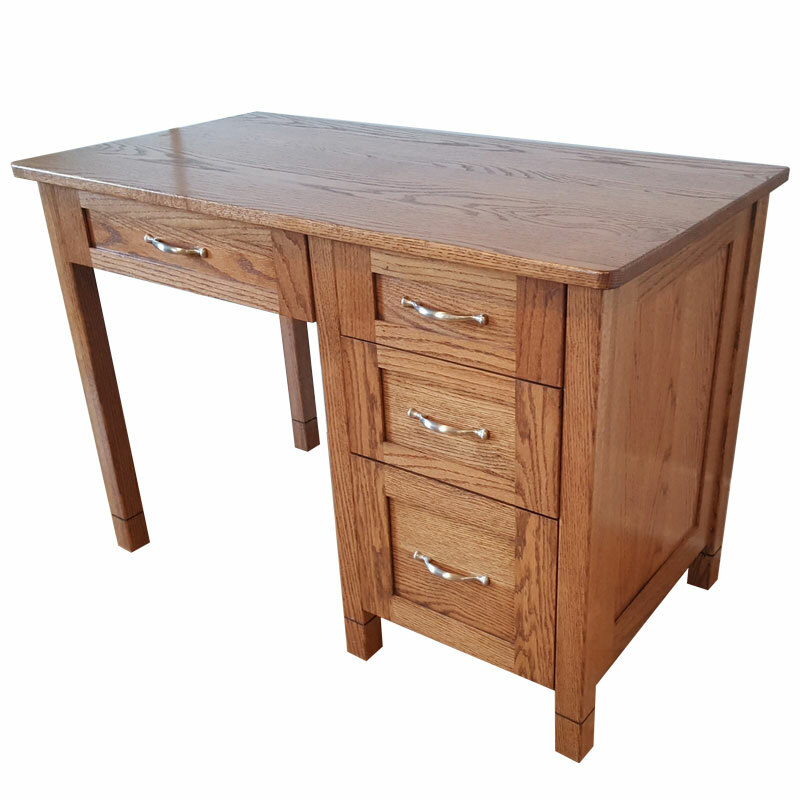 We offer our quality desk in the following hardwoods: Alder, Cherry, Hickory, Maple, Red Oak, and White Oak and in selected painted finishes. If you order a painted desk, the desk itself will be painted, but you have choices for the top writing surface. You may choose to have it painted to match the desk, or, for added durability we will use either a clear finished Maple or clear finished Oak on the top. A desk top takes a lot of wear and tear, and a painted finish will not hold up as well as a clear finish on a hardwood top will. As another option, we also offer the FLEX Student Desk with a plastic laminate top. This option gives you a scratch and wear resistant surface that kids can have fun with and will hold up over a long time. We offer several different laminate choices. Please contact us for details if you are interested in this option. The edges of all our tops are rounded off – no sharp corners. We feel that our FLEX student desk offers a lot of flexibility and value. Let us build one for you today!